Honorable internet users! Proletarian scientists! Planned economists! Soviet Unterzoegersdorf needs you! A so-called Kickstarter campaign is in progress! A desperate (and dialectic) measure to boost our financial might! 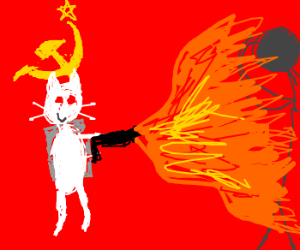 CLICK IT, bolshevik, CLICK IT!